Are you looking for a solid replacement for hardwood in your home or business? Bamboo flooring installation in Toronto is not an easy task, but the fine people at Alliance Floor Source in Toronto want to help make the work easy on you. We at Alliance Floor Source of Toronto are a bamboo supplier in the Toronto area. We are also a bamboo installer in the Toronto area! The professionals at Alliance Floor Source in our Toronto store have years of experience in bamboo flooring installation in the Toronto area. Like our company, many of the people in the Toronto area want to help protect our environment and bamboo flooring from our Toronto store is a viable and eco-friend substitute for the hardwoods that you find at Toronto Flooring Stores. One of the most important aspects of using bamboo flooring from our Toronto store is that bamboo is the single fastest growing wood-producing plant on Earth. Unlike nearly every other hardwood that requires 15 – 20 years to become viable to use for its wood, bamboo stalks grow to maturity in a miniscule 3 – 4 years. 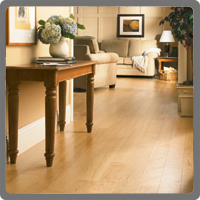 This makes bamboo flooring from our Toronto flooring store the best choice for your environmentally-friendly home. Our customers want the best product for the best price and we strive to make that possible at Alliance Floor Source of Toronto. Alliance Floor Source can not only be your bamboo flooring supplier of Toronto, but we can also be your bamboo flooring installer of the Toronto area! Give us a call and ask about bamboo flooring installation in your Toronto area home!